I woke up on Saturday to the sound of birds chirping outside my bedroom window, the scent of fresh flowers by my bedside (heh, thanks awesome Bath & Bodyworks scent diffuser), and the sound of a Disney princess trill when I realised that I’m on holiday! It’s the end of the year and I get to totally just chill! So what does one do when one is faced with endless hours of doing absolutely nothing? Why, make pancakes, of course! 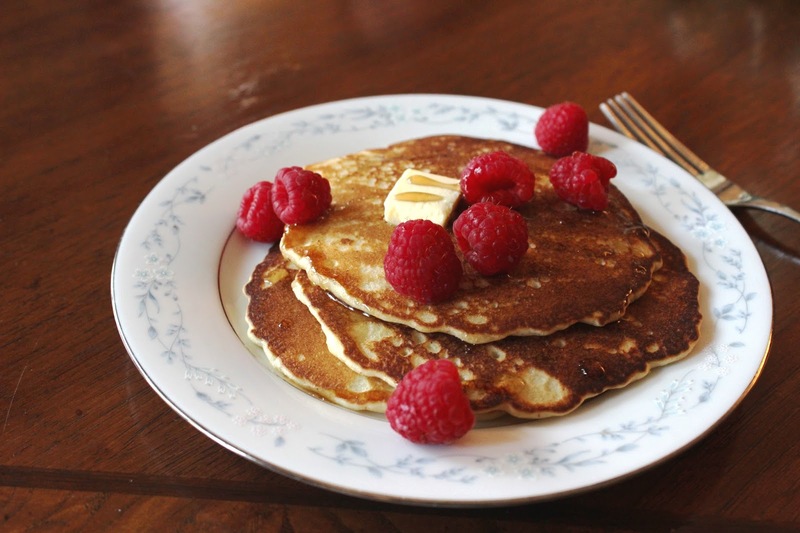 Nothing fancy needed, just your basic pancakes that takes 5 minutes to whip up. This is one of those breakfast recipes that will have you sitting at the table in no more than half an hour from when you drag yourself out of bed. 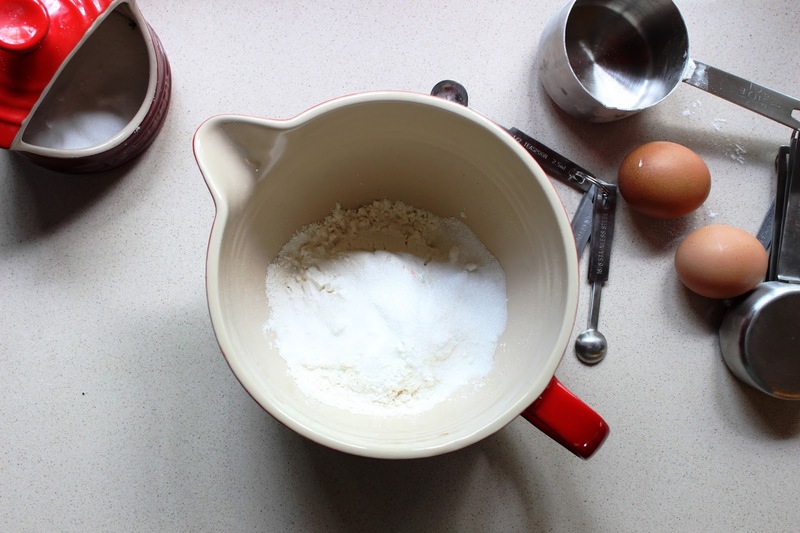 Mix all the dry ingredients in a bowl, whisk in the egg and vanilla, then gradually whisk in the milk. Let the mixture sit for about 5 minutes while you heat up a large skillet or griddle. 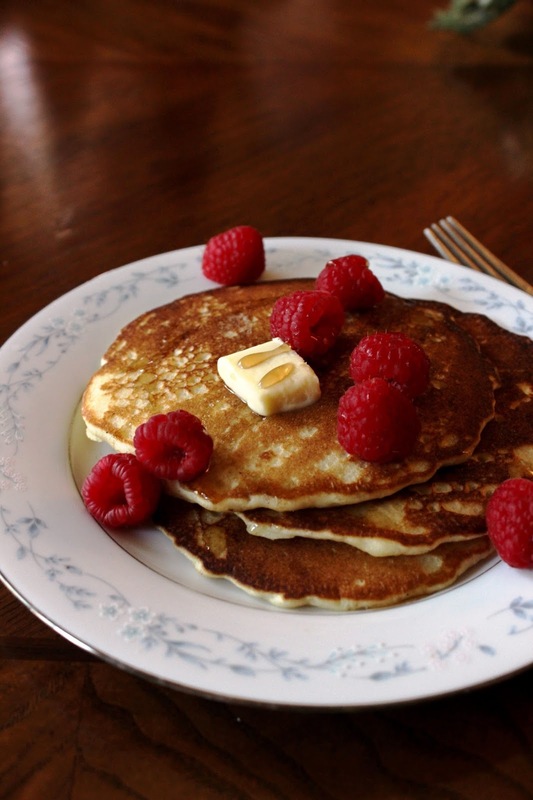 Brush some butter over the surface of the heated pan and pour the batter out in 1/4 cup batches for each pancake. When the bubbles on the top have popped and left behind little holes in the pancake, flip it over and leave it for about 1 minute to just brown the other side. Serve with butter, maple syrup and fresh fruits if you have any.